The Indomitable Club starts its playoffs campaign at home on Saturday, October 20. Kickoff is at 7:30 p.m.
For a second straight year, Sacramento Republic FC (No. 2 seed) and Swope Park Rangers (No. 7 seed) will meet in the USL Cup Playoffs presented by UC Davis Health. Unlike their previous postseason encounter, the Indomitable Club will have home-field advantage when they take on Kickoff is at 7:30 p.m. and will be broadcast live on KQCA My58, Estrella TV (Spanish), ESPN+ and Sports 1140 KHTK. 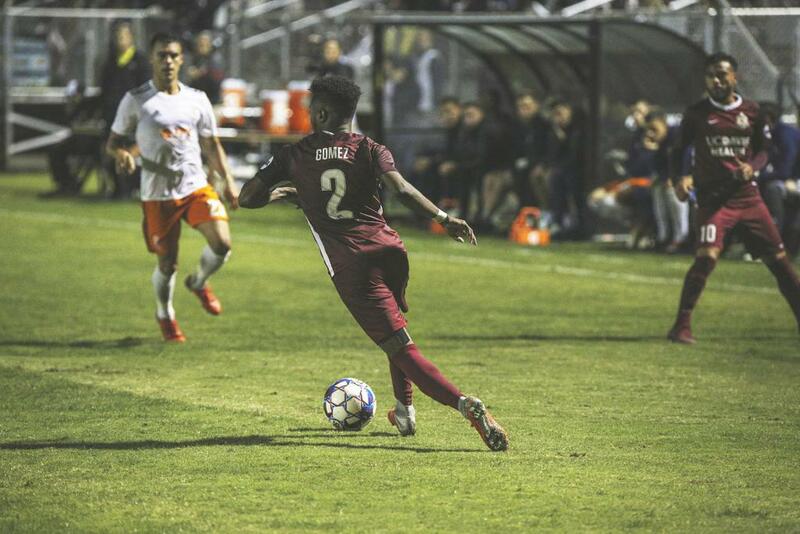 Republic FC enter Saturday’s match after finishing the regular season in second place in the Western Conference with their win over Las Vegas Lights FC last weekend. The win extended the club’s their eight-game unbeaten streak with Cameron Iwasa adding another goal to his record-breaking tally this season. Sacramento will anchor its postseason run on a defense that conceded the least amount of goals of all Western Conference teams with 32 goals against across 34 games. Two-time Western Conference Champions Swope Park Rangers ended their season with a 5-1 victory against LA Galaxy II to lock up the seventh seed. Saturday’s match will be the first-ever playoff match the three-year-old club plays on the road. Since their first meeting in 2016, Republic FC holds an all-time record of 2-2-2 against the Rangers. The two sides squared off twice during the regular season this year, with Sacramento taking both contests by a score of 3-1. Two former Republic FC players have featured heavily for Rangers this season. Midfielder Chase Minter has made 25 appearances on the year, while Tyler Blackwood has notched seven goals in 29 starts for the club. Minter played the 2016 USL season for Sacramento and Blackwood manned the wing for Republic in the 2017 season. Swope Park is led by Head Coach Paulo Nagamura, a two-time MLS Cup winner in his 12-year MLS career. Nagamura was a teammate of Republic FC General Manager Todd Dunivant on the 2005 MLS Cup Champion LA Galaxy side. For Republic FC midfielder Adam Moffat has been ruled out for 10 weeks after suffering a torn MCL on his right knee during the club’s match against Seattle Sounders FC 2 on September 8th. He joins Jaime Villarreal on the injury list, who sustained a right foot injury against LA Galaxy II on August 18th. Villarreal underwent successful surgery on his foot and will miss the playoff match. 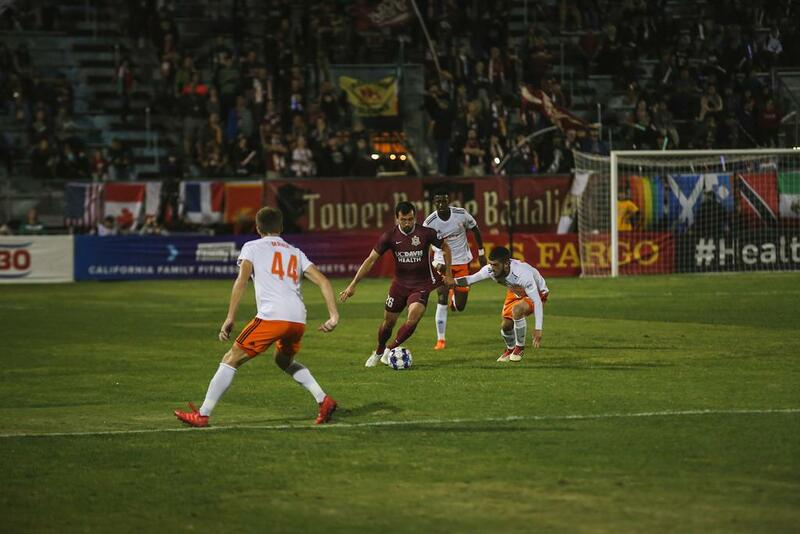 Updates on the match will be provided via Twitter at @SacRepublicFC or by following #SACvLV. To see more matchday information, visit SacRepublicFC.com/matchday-guide.